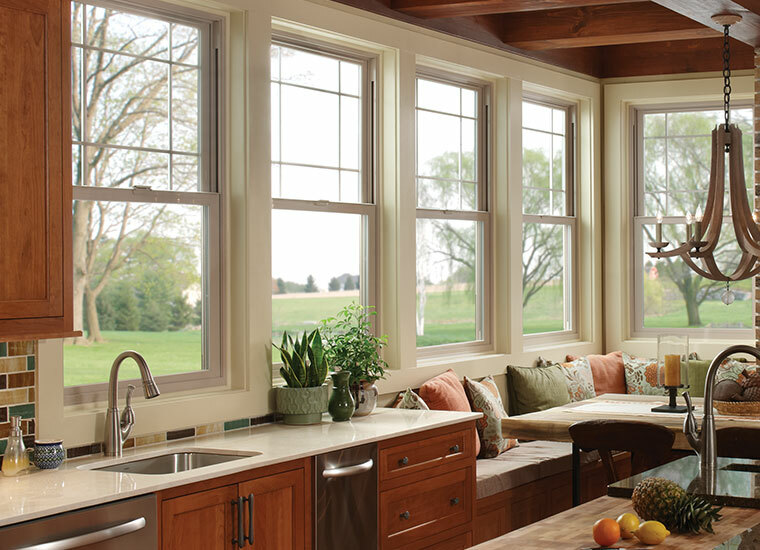 Vinyl Windows - River Valley Window Co.
Tuscany Series windows are designed with Milgard’s award-winning SmartTouch® Lock. 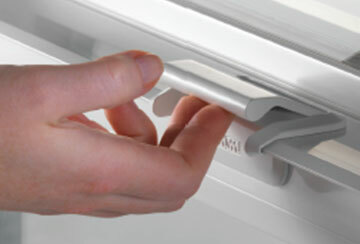 With one hand, lift the locking mechanism to unlock and open the window. Using the same motion, Tuscany Series windows are closed and locked. Milgard is the first window manufacturer to receive the Arthritis Foundation Ease-of-Use Commendation for the SmartTouch®. 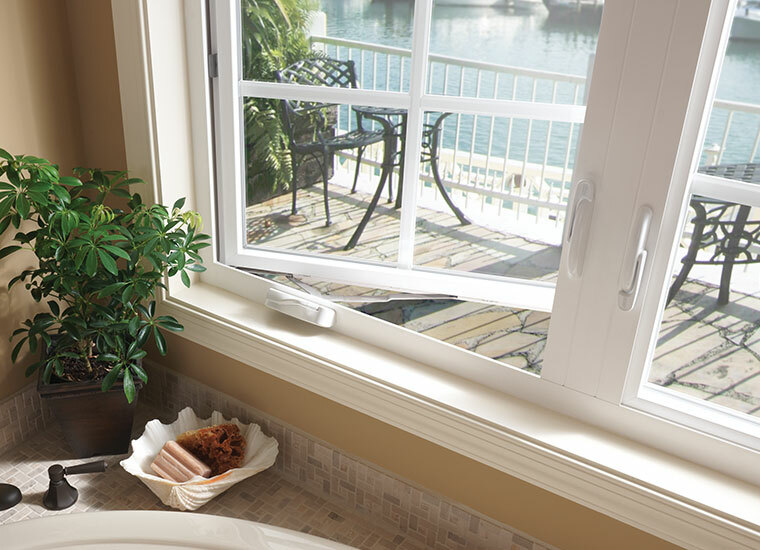 Tuscany® Series windows are designed to meet ENERGY STAR® qualifications in all regions. 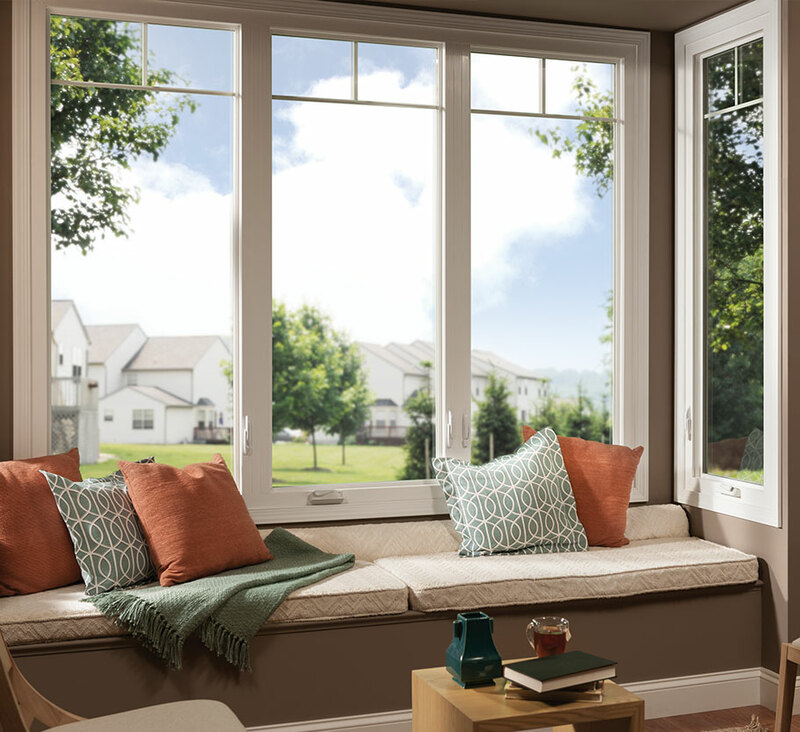 So regardless of where you live, you can enjoy the benefits of an energy efficient window. Tuscany® Series can make a world of difference to your home. 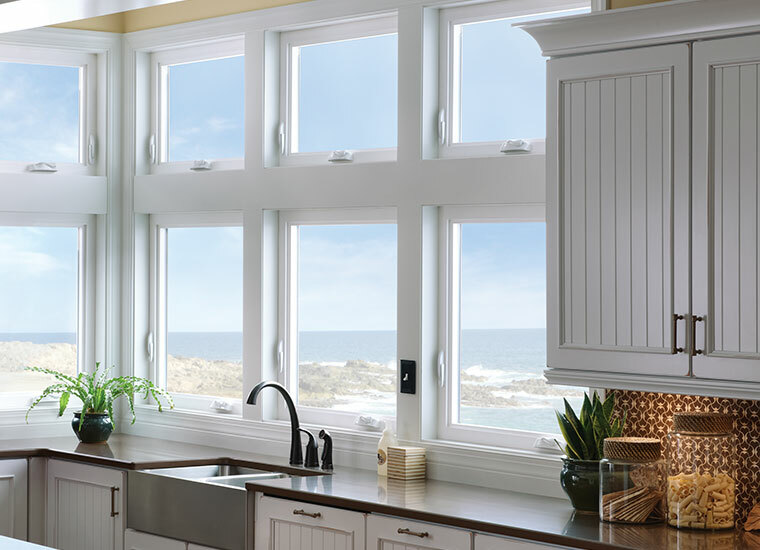 Each window is custom made to your specifications using our signature vinyl formulation and crafted with award-winning hardware. 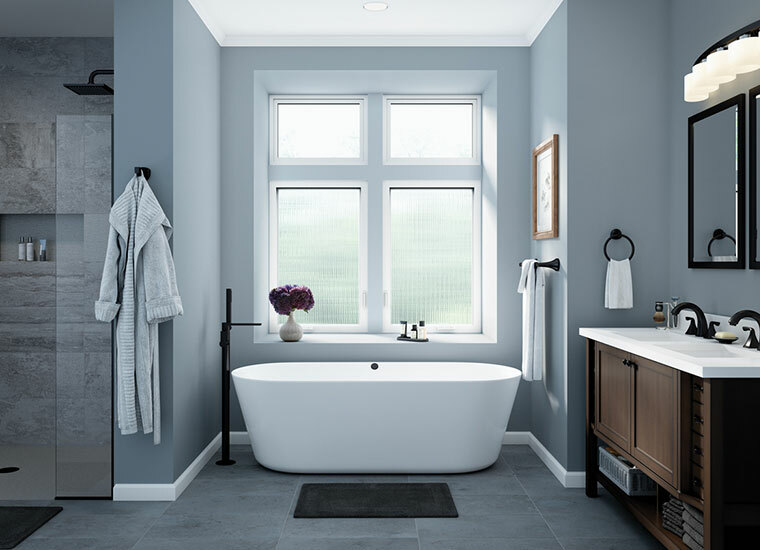 If you’ve been looking for a contemporary vinyl window, the new Milgard Trinsic Series is for you. The frame profile is so narrow, you’ll hardly know it’s there. With the maximum available viewable glass area you’ll enjoy amazing views outside. Plus, the low profile hardware, uniquely designed for this series, practically disappears from view. With its sleek and contemporary style, Trinsic Series can satisfy your desire to embrace modern home design.Series. 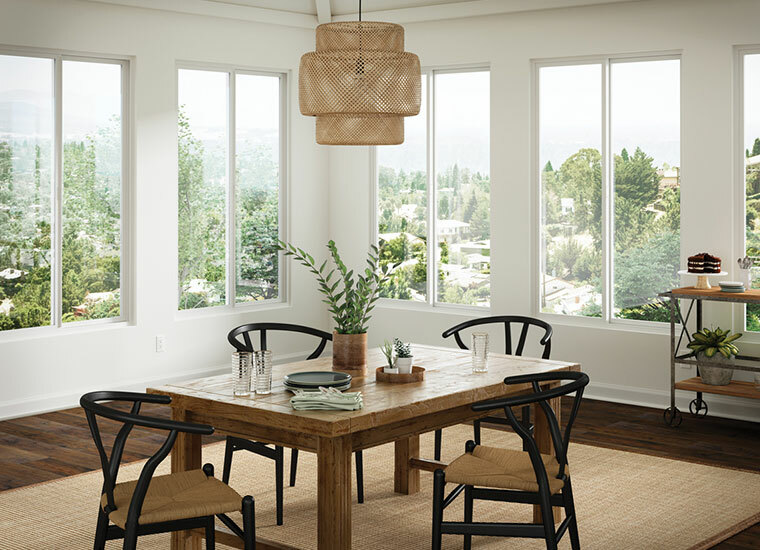 If you are looking for a vinyl window frame that is also contemporary, you will love the new Milgard Trinsic Series windows. Its sleek style satisfies your desire for a modern look and the maximum available viewable glass area helps you enjoy amazing vistas outside. 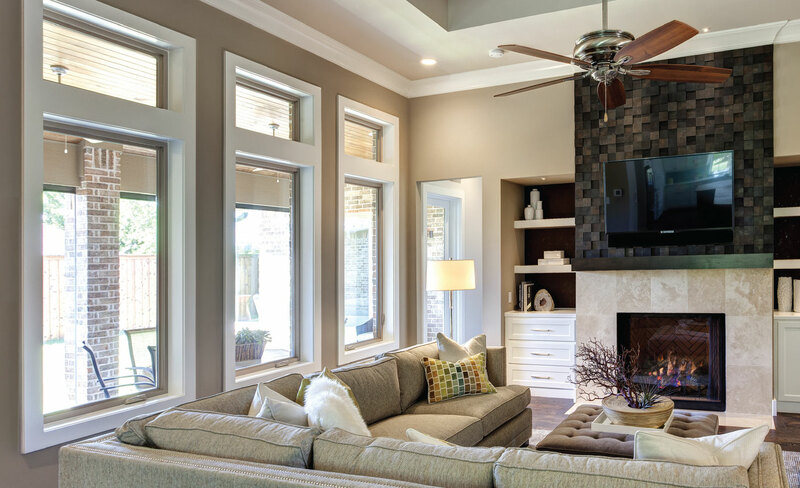 All Milgard Trinsic Series custom vinyl windows come with equal sightlines. This provides a streamlined and aesthetically pleasing look throughout your home, no matter which operating style you choose. You’ll notice the difference. We develop our own vinyl compounds and extrude our own profiles to ensure our vinyl windows perform as we expect them to. They also require little to no maintenance over time. Milgard is a proud ENERGY STAR® partner. Tuscany® Series vinyl windows and doors offer you endless possibilities no matter the style or size of your home project. 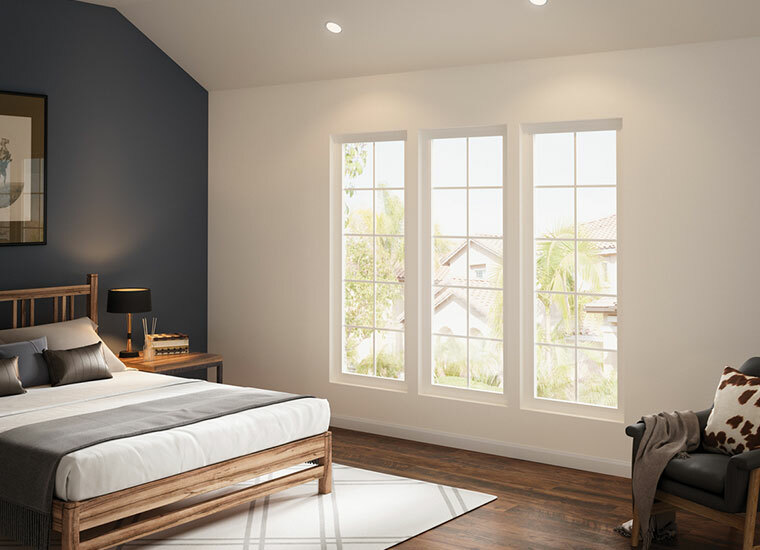 With equal sight lines and a frame shape that creates shadow lines, Tuscany Series vinyl windows are very much in the architectural styling of wood windows. But because they are made from our own durable premium vinyl, Tuscany Series windows have superior performance and energy efficiency. Milgard is one of the largest and most trusted names in windows and doors. For the last 50 years, we’ve demonstrated our commitment to innovation, quality and service. While our coverage is extensive, our service is local. t’s the easiest, smartest way to lock and unlock a window or door, and also assures you that when your window is closed, its locked. Responding to consumer needs for products that are easy to operate and maintain, Milgard developed the innovative SmartTouch window lock and door handle. Milgard was awarded the Arthritis Foundation Ease-of-Use Commendation in recognition of the SmartTouch lock and handle’s innovation and universal design.